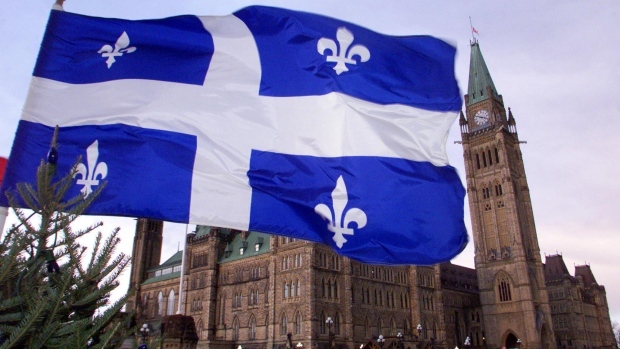 QUEBEC -- The Quebec government says Ottawa would have to pay the majority of the bill if the 2021 Francophonie Games are to be staged in the province. Nadine Girault, Quebec's minister of international relations and la Francophonie, said Wednesday her government is prepared to contribute $17 million to an effort to hold the Games in Sherbrooke, Que. On Monday, Sherbrooke city council agreed to revive its bid for the Games after ballooning costs prompted New Brunswick to abandon the event last month. But Sherbrooke said it would cap its contribution at $5.5 million. With a total cost estimated at more than $80 million, that would leave a roughly $57.5-million shortfall for the federal government to make up. In New Brunswick, where Moncton and Dieppe were going to share hosting duties, Premier Blaine Higgs blamed the province's decision to withdraw on the growing cost and a lack of financial support from Ottawa. Girault said the $17-million contribution approved by Quebec is the same amount the previous Liberal government agreed to spend when Sherbrooke first bid for the Games. The event brings together 3,000 athletes and artists from la Francophonie's more than 50 member states. Sherbrooke Mayor Steve Lussier called the provincial commitment "a step forward" but added that time is running out for the federal and provincial governments to negotiate an agreement to save the Games.